Science is about discovering new borders. To either progress and cross them or to respect and guard them. At Radboud University we do this every day. With our multi-disciplinary approach and blend of cultures, ages, disciplines and beliefs we know that perspectives change over time and thus become more relevant to the society we live in. We invite you to change perspective. Radboud University is a broad, international oriented university that aspires to be one of the best in Europe. Together with Radboudumc, we have created an intellectual environment that inspires and challenges our students and staff so that they can extend the scope of academic disciplines and benefit society. 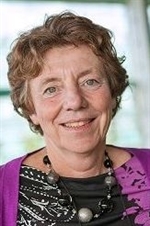 Radboud University challenges its students to actively participate in the academic community and trains them to be critical and committed academics, with their own views regarding scholarship and society, who will take up responsible positions in a society which is becoming increasingly internationalised. The university’s academic staff come from all over the world, and a large proportion of our student population has spent at least some months studying at a university abroad.